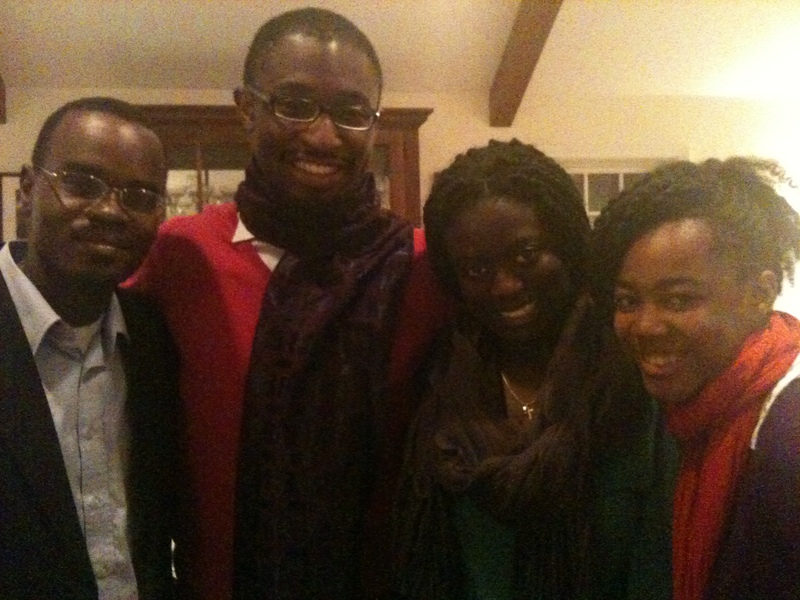 Uzodinma Iweala – African Book Addict! Speak No Evil wasn’t really a novel I was keen to read when I published the 2018 New Releases To Anticipate at the beginning of this year. Once the book was finally released in March, my interest grew after I watched a couple of BookTubers discuss the book, so I decided to buy a copy. Hmmm, where do I even begin to share my thoughts on this book? For the first 60 pages of the novel, I was preoccupied with Uzodinma Iweala’s audacity to write a novel based on a young gay Nigerian-American (named Niru), who was Harvard-bound. A lot of Niru’s family life seemed to mirror some of Iweala’s real life, so I kept on wondering if Speak No Evil was a fictionalized take on his personal life? Iweala’s personal life is none of our business, but I was slightly distracted while reading because I assumed Iweala was a heterosexual and hence felt it wasn’t his place to write on LGBTQ experiences. I felt the same way about his debut, Beast of No Nation – what does he know about the plight of child soldiers? But hey… writers can write on whatever they desire, as long as it fosters important conversations, right? What a stressful book this was! Speak No Evil isn’t just about an eighteen year old’s mental and emotional journey of coming out as gay – it’s also about what it means to be a 1st generation American of African heritage (I understood a lot of Niru’s ‘struggles’ with his Nigerian parents); it’s about being a typical teenager and feeling inadequate, thanks to familial pressures and parental scrutiny via sibling comparisons; it’s about how being a Christian and being gay mess with your mind and torture your psyche daily; it’s about what it means to be a young black boy in a high school full of privileged white kids who have the luxury to be flippant about everything; it’s about how white ‘allies’ are actually the enemy – Meredith (she’s Niru’s best friend who had the hots for him, even after he confided in her that he wasn’t attracted to girls); it’s about how white lies cost black lives via police brutality. I didn’t expect these tough themes to feature in this little book, so it all took me by surprise. I don’t think Iweala did a great job of developing the characters in this novel. Niru’s brother- OJ, was mentioned about 500 times in the story, but he only made an appearance at the end. OJ’s character felt so empty, I wondered why he had to be part of the story. Throughout the novel, I couldn’t picture Niru or any of the other characters’ faces or physiques in my mind. Iweala concentrated more on thoroughly describing Niru’s upperclass lifestyle, his church environment, the surroundings of the impromptu trip to Nigeria, his high school, Meredith’s house. Perhaps it wasn’t Iweala’s intention to focus on character development, but it would have filled some of the void I felt while reading the novel. The novel is divided into two parts. Part 1 focuses on Niru – his family life (his father was such a domineering, toxic man… but he meant well), school life with his track team and church. I enjoyed Part 1 immensely; I especially loved Niru’s short-lived love interest with Damian. Part 2 focuses on Niru’s best friend – Meredith, who embodies America’s idea of what a white ally is. I detested Part 2 of this book, mostly because I truly disliked Meredith. I’m still trying to figure out if it was Iweala’s intention to portray Meredith as an innocent white girl who was oblivious to the plight of black folks, or if the motive of Part 2 was to highlight Meredith’s rich, dysfunctional family life as a means to validate why she was a terrible friend who perpetuated the issues we (ie: Black women and Black people in general) have with white women in America. This is definitely a good book, but I give it 3 stars because: 1) The latter part of the novel mirrors the current horrors we witness on social media via police brutality – which is DEEPLY upsetting to read; 2) I don’t know how I feel about Iweala writing on the gay experience. I know it’s important to separate the writer from their work, but I think I’d fully appreciate Niru’s coming out experience in this novel if I had some context on the writer’s life in that realm; 3) Meredith’s section of the book – Part 2, was truly annoying. My main take-away from Speak No Evil is that we need to stop making excuses for white people and the harm they cause us black folks. WHITE LIES COST BLACK LIVES (as seen on page 196). Beasts of No Nation by Uzodinma Iweala… the film? September 7, 2015 by Darkowaa9 Comments on Beasts of No Nation by Uzodinma Iweala… the film? Yes, yes, yes! Uzodinma Iweala’s debut novel, Beasts of No Nation: A Novel (2005) is being adapted for the big screen and will be showing in select theaters (in the U.S) and available worldwide on Netflix next month – October 16th 2015! 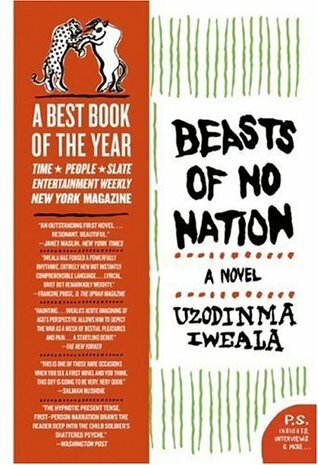 Beasts of No Nation: A novel (which is a title adopted from Fela Kuti’s 1989 album) was released 10 years ago, but the haunting novel is still on the minds of readers who’ve enjoyed the book! 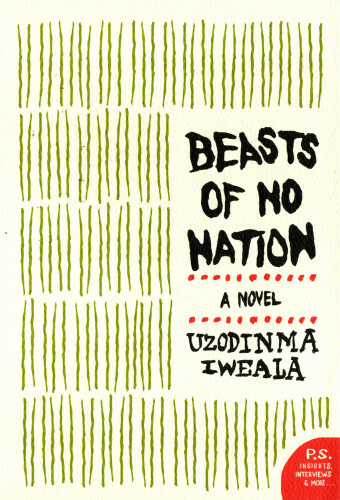 Have you read Beasts of No Nation: A novel yet? In this stunning debut novel, Agu, a young boy in an unnamed West African nation, is recruited into a unit of guerrilla fighters as civil war engulfs his country. Haunted by his father’s own death at the hands of militants, Agu is vulnerable to the dangerous yet paternal nature of his new commander. While the war rages on, Agu becomes increasingly divorced from the life he had known before the conflict started—a life of school friends, church services, and time with his family still intact. In a powerful, strikingly original voice that vividly captures Agu’s youth and confusion, Uzodinma Iweala has produced a harrowing, inventive, and deeply affecting novel. I’m excited and proud of Uzo! It must be every author’s dream to have their novel made into a film – it’s a big deal! I’m still fascinated at Iweala’s ability to embody the sentiments of a child soldier in the novel, since his background of being a Harvard graduate seems far from the unfortunate struggle of being a child victim of civil war. That takes real talent and a vivid imagination! I will definitely finish reading Beasts of No Nation: A Novel before I watch the film. Films don’t usually capture the essence of the books they are based on. However, I’m confident this film adaptation will do Beasts of No Nation: A Novel justice. The film is set in the Eastern Region of Ghana and is directed by Emmy Award winner Cary Fukunaga. Golden Globe Award winning actor, Idris Elba plays the main warlord in the film and the talented Ghanaian actress, Ama K. Abebrese plays the child soldier – Agu’s mother. With all that talent in one film, I have faith that it will be superb!